The Amarena cherry is a unique delight. Small, deep rouge in color and slightly sour in taste, the cherry is from Italy's northern region of Modena, also the birthplace of balsamic vinegar. 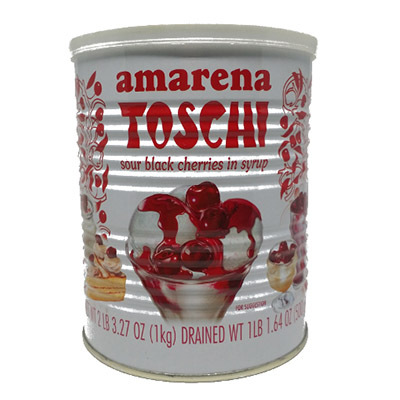 Toschi carefully hand-selects and pits the cherries using the same process since 1945. Today, just as sixty years ago, they are semi-candied and ready to garnish desserts, cakes and add to any cheese board.